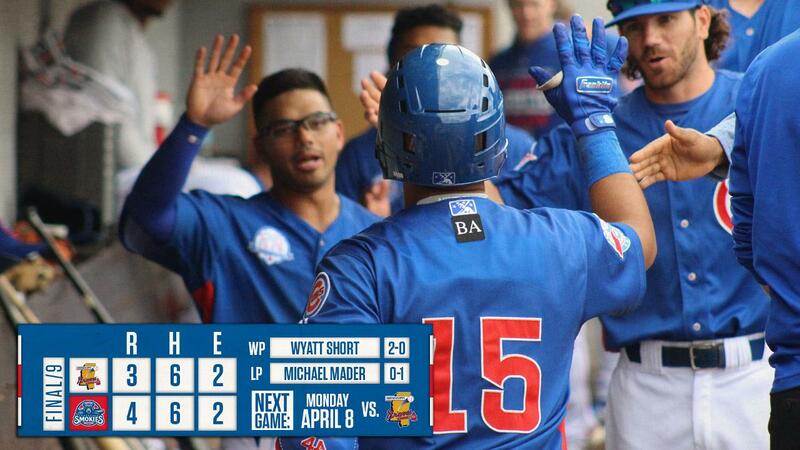 SEVIERVILLE - The Tennessee Smokies (3-1) used a three-run bottom of the eighth inning Sunday afternoon to come from behind and defeat the Mississippi Braves (1-3) at Smokies Stadium. Tennessee sent nine men to the plate in the eighth, and pinch-hitter Nico Hoerner walked with the bases loaded to force in the eventual winning run. Alejandro Salazar got the M-Braves on the board in the top of the first by driving in Drew Waters with a single to right. Mississippi loaded up the bases with one-out, but Jonathan Morales flied out to left, and Jared Young threw out Cristian Pache at the plate to keep the score at 1-0. Jhonny Pereda's one-out solo home run to right field tied the game at one in the fourth. The M-Braves took the lead back in the sixth. With runners on the corners and one-out, Morales doubled to left, driving in Salazar and Ray-Patrick Didder to take a 3-1 lead. Young led off the eighth with an infield single against the shifted infield, and went first-to-third on Vimael Machin's double. Pereda grounded out to second, scoring Young, to cut the deficit to 3-2. After Roberto Caro walked, Erick Castillo bunted the first pitch he saw back to LHP Mike Mader (L, 0-1), who tried to cut down the tying run at the plate, but threw the ball away. Caro went to third on the play and Castillo took second, which forced the M-Braves to intentionally walk Charcer Burks. The Smokies countered by sending up Hoerner to pinch-hit. Hoerner drew a the walk, forcing in the winning run. LHP Wyatt Short (W, 2-0) and LHP Ian Clarkin (S, 1) both worked around errors and dealt a scoreless eighth and ninth respectively. 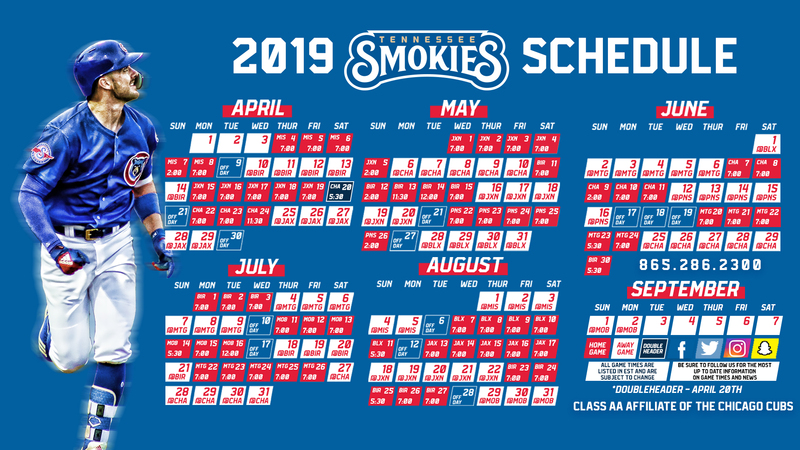 The Smokies have won the series, and will try to take 4-out-of-5 against the M-Braves on Monday night at 7 PM ET. RHP Tyson Miller will make his season debut against LHP Tucker Davidson.